Stereoscopic photography is the technique of emulating the binocularability of human eyes to create an illusion of the depth. Human eyes are at a distance from each other, seeing the object from another angle; it sends these signals to our brains which in turn combines these images into a single one. The stereoscope was built using this principle. It was made a long ago and can be described as the VR of the 19th century. 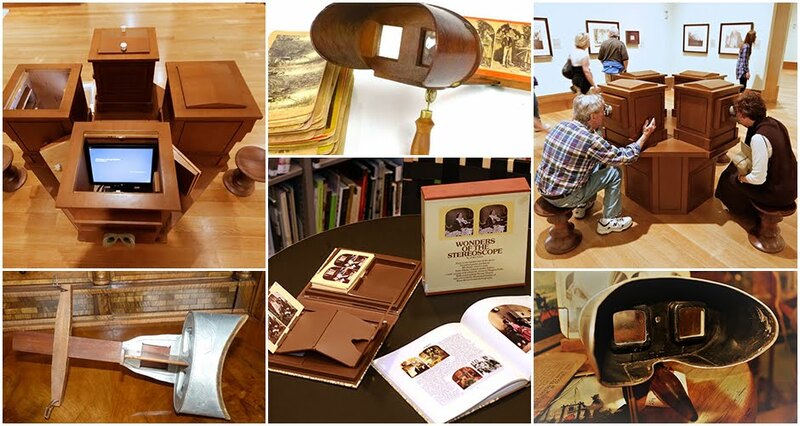 The stereoscope used images and gave people the 3D effect. Stereoscopic images have made a comeback, and many design experts, interior decorators, even Bridal Makeup artists have started making use of these images in their beauty saloons to impress customers. Check out these https://www.kcet.org/shows/lost-la/19-stereoscopic-views-of-19th-century-los-angeles, now with modern systems, the quality of photos have become superior and hence being utilised by businesses. The history of stereoscopic photography is pretty impressive, read below to know more. Sir Charles Wheatstone in 1832 invented a binocular called a stereoscope. This device was used to view images with one eye and hence creating a 3D effect. The stereographs were made from a metal plate which produced reflections but also found that they were slow to react to light sensitivity and hence did not yield proper results. But the device did not receive significant interest due to this failure until Sir David Brewster in 1940 tweaked the design and called it a refracting stereoscope. Refracting Stereoscope Viewer: In this version of the tool, he places the lenses 2.5 inches apart in a small box. He created holes on the side of it so that the light enters and a slit on the bottom at the end far away from the lens so that the prints slide in and out. Frosted glass was placed at the bottom of the box so that more light can be allowed for better functioning and viewing transparencies. This device was exhibited in 1851, and Queen Victoria liked it and later more than 250000 stereoscopes were sold along with millions of stereoscopic prints. By then, the copies were made from a process called Collodion process by a company called Stereoscopic Company. That company started sending photographers all over the world to create stereo cards of many views and places. All this contributed to photography becoming a favourite tool for people to record memories to view it later. 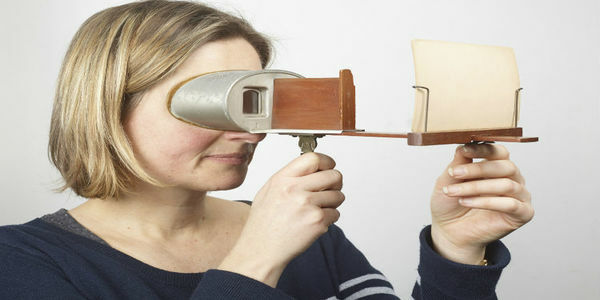 Handheld stereoscope: Some people were unhappy with the viewer as it gave them headaches. It was difficult to view two scenes from two eyes and then merge the two separate images into one. Moreover, it didn't work with people who had a faulty vision. So Oliver Wendell Holmes, with the help of Joseph Bates, designed a handheld stereoscope viewer that allowed customised adjustments that solved headaches. It was also lightweight and cheaper, making it a standard version. Decline: The popularity of stereoscope started declining in the 1870’s due to the economic crisis of 1873, and many photographers were out of business. Stereo cards were copied and lead to a decline in the quality and viewing experience. Though the big corporations survived, the smaller ones perished, and with that, the control of imagery started. A company called the Keystone view Company survived and made stereo views until television came into the picture. Read Also : How To Take Stereoscopic Photographs? A stereoscope is a 3D image generation device. It was introduced approximately a century ago when it was the only mode of taking pictures. Today people have the gift of stereoscopic wallpapers that look just amazing. Taking stereoscopic photos can be a fun activity for personal use. Today, a stereoscope comes with removable eyepieces so that the same object can be viewed using both the eyes. It finds its use in education, archeology, police work, health research and government services. The best part about a stereoscope is its ability to show us a 3D image without any distortion. Hence, it reduces strain on your eyes. There are many more designs available in the market. Rest assured to find something that matches your taste. Wallpaper decorations have always been in fashion. However, the recent trend has set up 3D wallpapers as a distinguishable feature in modern homes. It sets style statement of its own. It gives your living room a very lively appearance. Many people decorate their bedrooms also with 3D stereoscopic imaging. You can get some great ideas for your child’s bedroom as well, 3D wallpaper containing the pictures of their favorite cartoon character will look amazing. You can get a custom-made wallpaper also. The customization comes handy with wallpaper manufacturing companies. Whatever can represent your lifestyle in the best manner should be put up on the wall. Suppose you are a very calm and carefree person, you can get a custom-made wallpaper of a view from under the sea. Fishes and sea plants in the wallpaper will look as if they were to come alive in a second. You can get a waterfall design, forest, a sunset or a hilly area image. You wish, and there is a way of creating the customized wallpaper for you. With stereoscopic technology, 3D imaging has become very easy. Though the technology underwent many evolutionary changes, the basic concept is still the same that was a century ago. 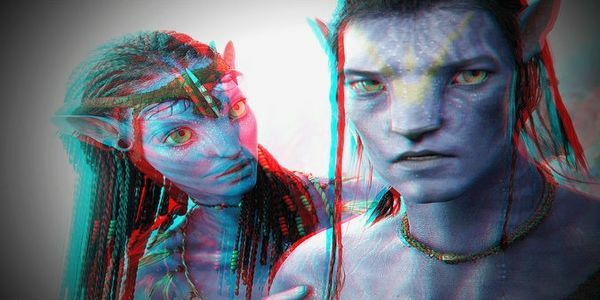 How Can We Use 3D Stereoscopy Today? Stereoscopic photography is the area of displaying two separately offset picture as one to give an illusion of depth that gives the picture a 3D appearance. The principle behind stereoscope is called stereopsis. It is just the way our eyes work. We see a single image because our brain makes us see it that way. In reality both human eye capture two different images and set it to the brain. This is because our eyes are few inches apart from each other. Our brain combines both the images despite the spatial difference and makes us see them in a 3D manner. You can also create a stereoscopic wallpapers collection of your own. It is an exciting fun-filled activity many pursue till date. Stereoscopic photos are not difficult to capture as you can buy the right device at easy today. There is a technique for clicking such images about which you should be well aware. You need a tripod stand and a camera. Ask your subject to stand right in the center from where you have placed your tripod stand and camera. Click a picture in one position and then shift the camera few inches left or right. Just make sure even after moving the camera the subject is in the center. These two separate pictures will help you get a stereoscopic image. The best way is to use this method for capturing the image of still objects only. In case you desire to click pictures of moving object some more aids will be required. Either you can use two cameras at the same time or make a mirror splitter. You can find many videos online to see a demonstration of both the methods. There are many different ways of representing such 3D images. We are familiar with the 3D viewing of stereoscopic images using glasses. These glasses have the capability of superimposing the two images as one and give us a 3D view. Wiggle 3D is a system that allows you to look at 3SD images without the need for glasses. Within a fraction of a second, the device shifts the picture from left to right. This keeps on repeating in a portion of 0.10 seconds. This gives a 3D effect without the need of wearing glasses. Then there is another method where we can use a mirror to overlap the two images with each other. The cross-eyed process is a straightforward way to display and view 3D images. The cross-eyed method has a large number of benefits. You must bear in mind that the cross-eyed way is the only method that does not make use of any additional tools. The two pictures are placed side by side with the right view on the left side and the left view on the right side. Now the person viewing the image should cross his or her eyes so that the photographs appear to overlap. However, this is a method not very good for a more prolonged viewing period. 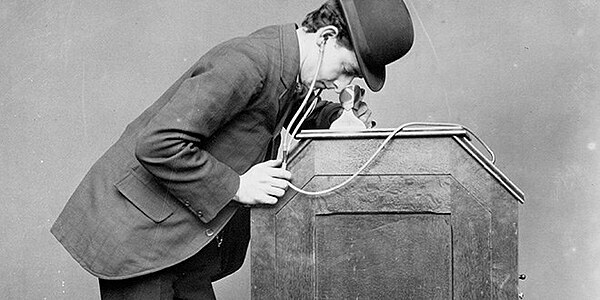 Stereoscopes were a great invention more than a hundred years ago. You can make your DIY stereoscope at home. It is easy to make, and you can test the phenomenon of parallel image viewing. Did You Know The History Of A Stereoscope? Back in the time when television, digital cameras, and cinemas were nowhere in the picture stereographs came on the market. More appropriately known as a stereoscope, it was a device used to generate a 3D view of a subject. It was aimed at giving you an experience as if you were there. The working principle behind a stereoscope is fascinating even if you hear it today. A stereoscope in order to generate a 3d stereogram the device featured two images. One image was meant for the left eye and another for the right. When the device was switched on it combined the two flat images into one giving an illusionary depth to the image. It employed the same principle with which a human eye works. Since both our eyes are two inches apart, we see everything from two different angles. However, the human brain interprets the picture as one that has dimension and spatial depth. Far before from the time when a stereoscope was launched, a par was published by Charles Wheatstone in 1838, explaining the principle behind a stereoscope. As we can see, it took a lot many years to manufacture the first device. It was the first step taken by the human race into viewing something in 3D. Let us try to know more about the evolution of photography right from the type the concept of stereography was invented. During the 1830s on the other side of the world, scientists were working on a permanent photography creation using silver salts that were light sensitive. They were also working on a camera type device that could obtain optical images. It took a lot many years to achieve some amount of commercial success in the type of device experts were trying to make. It was the period between 1840s-50s when the desired precision in imagery was achieved. However, there were still many disadvantages to it such as the cost was very high and there was no scope for making multiple copies of an image. At the same time, Fox Talbot started using wax paper negatives for imagery which enabled us for making copies of a single image. The drawback with this type of photograph was its soft focus. Later when photography started to enter a commercial realm, it was realized that Whetstone’s device could be used for the purpose. The technique of photography then was to take a picture then move some inches and take another picture. Later, there was the invention of devices which took two images from different angles simultaneously on its own. It was in between 1850s-60s when the cartes-de-visite along with the stereoscopic views popularized photography among ordinary people. Several companies such as Underwood and Underwood started manufacturing stereoscopic cameras. This revolutionized the thought of taking a permanent picture of whatever you desired. Several other devices also emerged in the market with small variations. It gained tremendous popularity among middle-class people. Slowly cost-effective devices also entered the market making it even more popular. Read Also : What Is Stereoscopic Photography? It was back in 1851 when Queen Victoria was delighted to see a new machine in what some people called as the world’s first fair. The machine was none other than the stereoscope. Later in the 1870s, another device came up which was economical than what was available before. The credit goes to Oliver W. Holmes who instilled the craze for stereography in Americans. There were claims that every other parlor in America had a stereoscope in the late 1860s. Later in between 1880s-90s the availability of stereographs significantly increased. One of the major companies that manufactured stereographs was the Underwood and Underwood. When putting together, the three companies produced more than 25000 images on a daily basis. The stereograph count increased to a whopping number that is more than 300 million of them were issued in the 1850s a 1920s. Stereographs mostly were used by the middle-class consumers. However , with time many companies started manufacturing stereographs for the working class people. These stereographs were available at a price of 3 cents per piece, and when bought in bulk it was 85 cents for 100 units. Mostly they sold it through the medical stores, tea and coffee companies gave it as a premium. It was distributed by the companies through mail orders. Many scholars call it as the first photographic medium even before cinema or television came into existence. Stereographs were the first photographic medium back then when people never thought that anything like a digital camera or a handy cam would come up. Company tours became quite common for seeing a stereograph manufacturing plant.For some people, it was an exciting journey to understand where experts are making the newer technology. For the company, it was a great tool to fascinate their consumers with a chunk of complexity. Later this fantastic technology started to move from parlors to the schools. Big companies marketed their products in huge numbers to the school for the instructional purpose. The teaching method was changing day by day. Stereographs encouraged the experiential approach of learning among students. Underwood and Underwood company started selling their products as "Tours of the world" and "Underwood travel system." These products offered people to view statistical information in the form of visual and textual way. In the times of conflict, a stereograph was like a lifesaver. People could verify their data immediately and show it to other people. Some of you may be aware that the stereograph era was instrumental in making the image construction methodology popular. 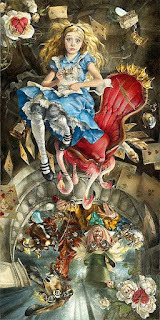 The ability to portray reality in a visual form was one of its kind. It set the pace for future innovation here reel camera, video recorder and alter the digital camera came in to picture. The challenge was to manufacture an affordable product which eventfully started happening. The property of 3D images was explored back then when the museums began having 3D show facility. It was a great wave in its own time. Stereoscopes gave people the ability see things in a different way. It also provided a new way to the education system which has now become extremely common.